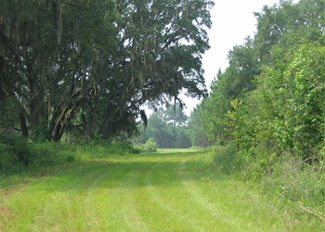 Tallawahee is a diverse farming and hunting property located in Southwest Georgia. Terrell County,Georgia. Tallawahee is a diverse farming and hunting property located in Southwest Georgia, an area well known for some of the finest hunting and agricultural operations in the country. The property has a mix of crop fields, wildlife food plots, woodlands and cypress ponds with a healthy population of deer, turkey, duck, dove and quail. Improvements include a lodge, shop, center pivot irrigation, and three tenant houses. The plantation is 35 minutes from the Albany, Georgia Airport, and 15 minutes from the Dawson, Georgia private airport.